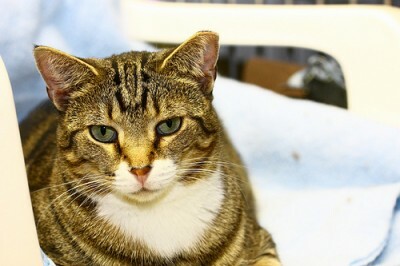 Eyes is a spunky little brown and white tabby female. She likes to play games of “catch me” — where she’ll run up to you and swing her head chirping and then run away wanting you to follow. 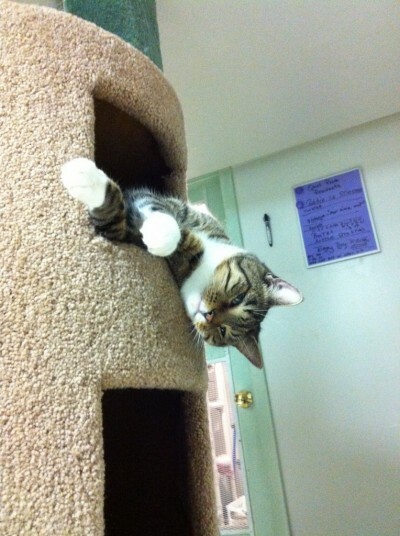 This silly little girl would make a great addition to any home.